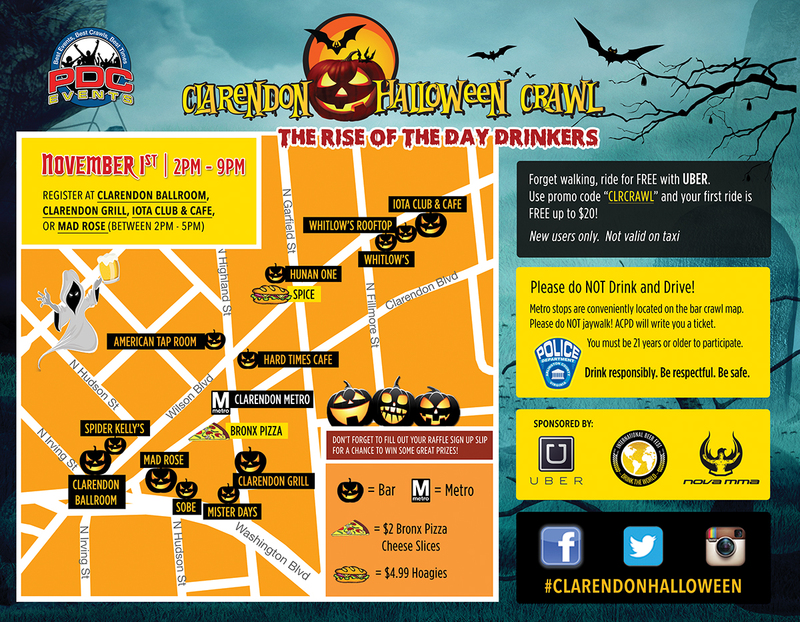 Below you will find The 2014 Clarendon Halloween Crawl route map. Plan accordingly, don’t get lost, have an awesome time, and most importantly, be safe! See you at the bar crawl!